Limiting the number of animal products in your diet is not only good for your health, it’s also good for the long-term benefit of the planet. 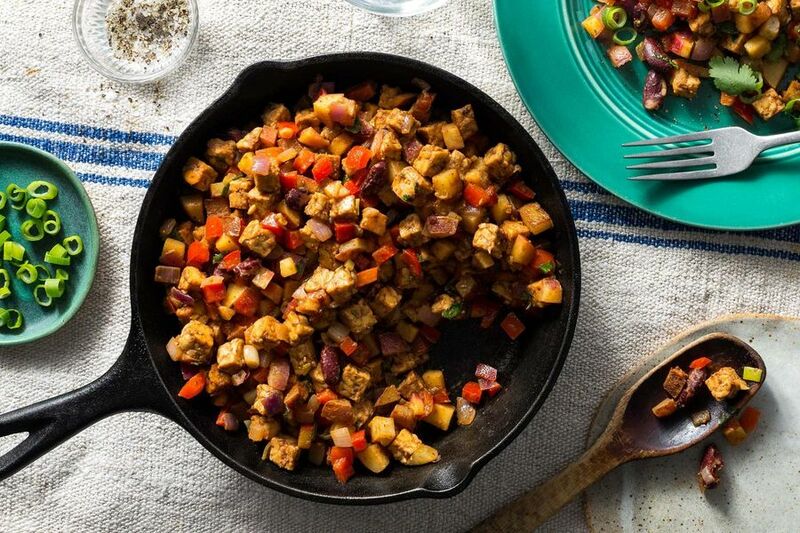 Sun Basket’s vegan meals can help you go full-on plant-fueled, or simply incorporate more vegan meals into your weekly menu. Remember, it’s not an all-or-nothing proposition; reducing animal product consumption by any amount will help the earth keep hold of its resources. The amount of energy used to raise animals for food far surpasses what’s needed to cultivate vegetables and fruits. Overall, livestock takes a huge toll (much greater than that of most plant foods) on the climate. Feed production and transport, the carbon release that happens when rainforests are cleared to make room for agricultural land, as well as the transportation of livestock, food production, increased need for refrigeration, and more, are all having a big impact on our fragile planet. With the world's freshwater supplies at an all-time low, water conservation is of the utmost importance. Raising animals requires a lot of water. It's used to grow food for them to eat, to hydrate them throughout their lifetime, and for processing (cleaning, mixing, etc). A single ⅓ pound beef burger, for example, requires an estimated 660 gallons of water to produce. That's the equivalent of taking a 5½ hour shower. If you’ve ever driven past a feedlot you know that cow farts are no joke. Those methane emissions are a contributor to the greenhouse gases that are slowly warming the planet. According to a report by the Environmental Protection Agency, agriculture is responsible for about 9 percent of the total U.S. greenhouse gas emissions, with livestock—especially cattle—representing about one-third of those emissions.